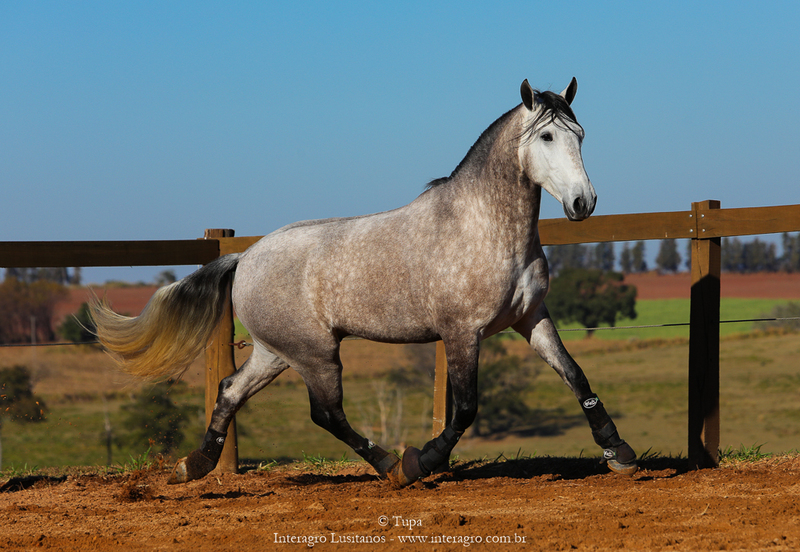 Started under saddle in November 2017, Lyco has three comfortable and correct gaits, especially the canter. 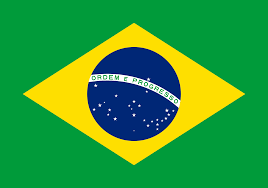 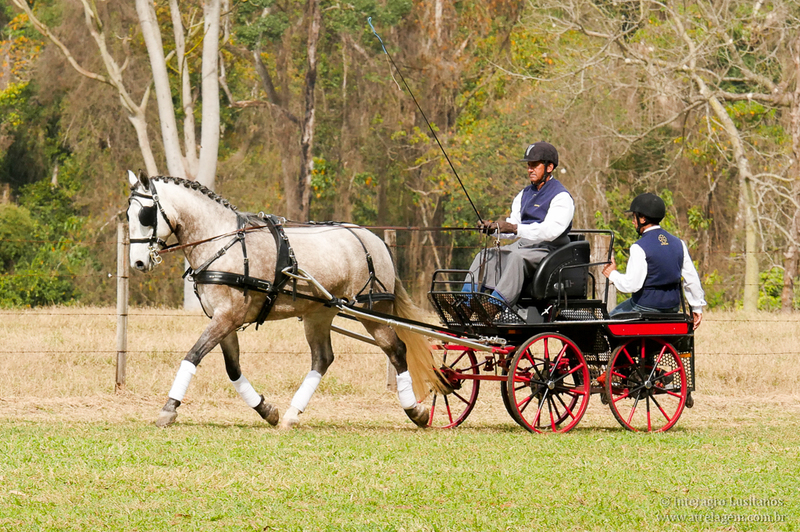 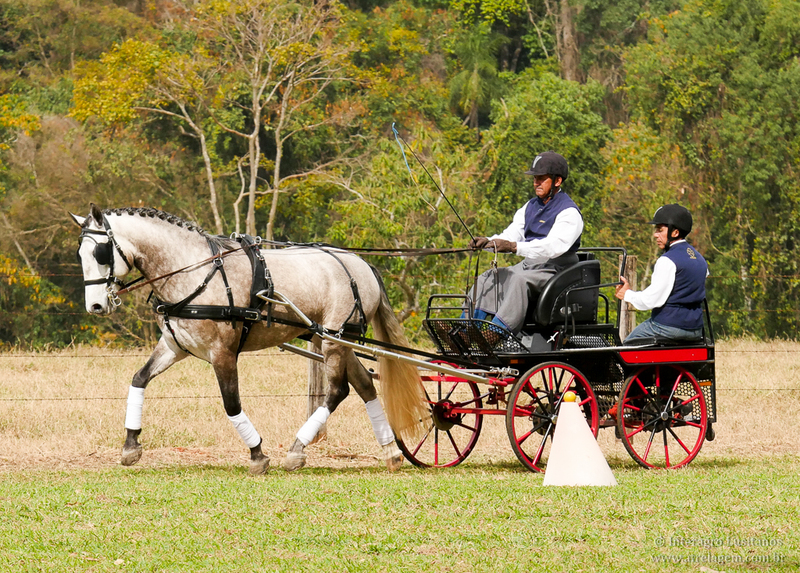 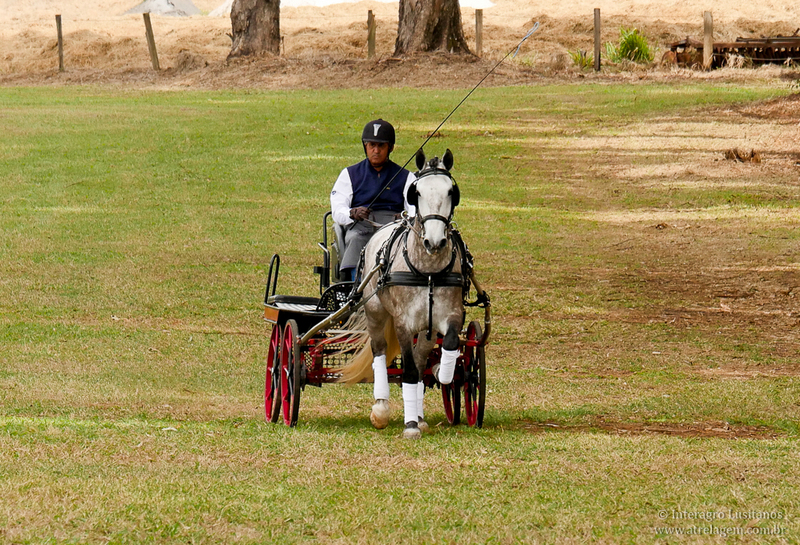 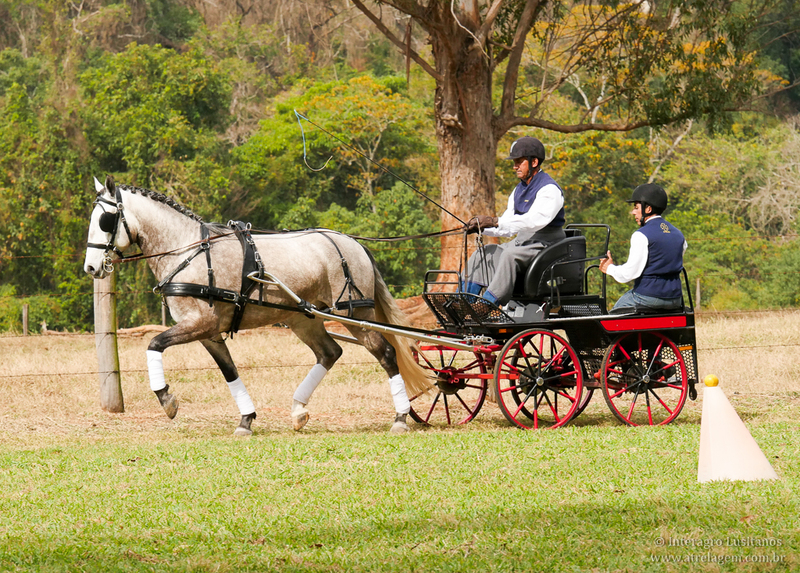 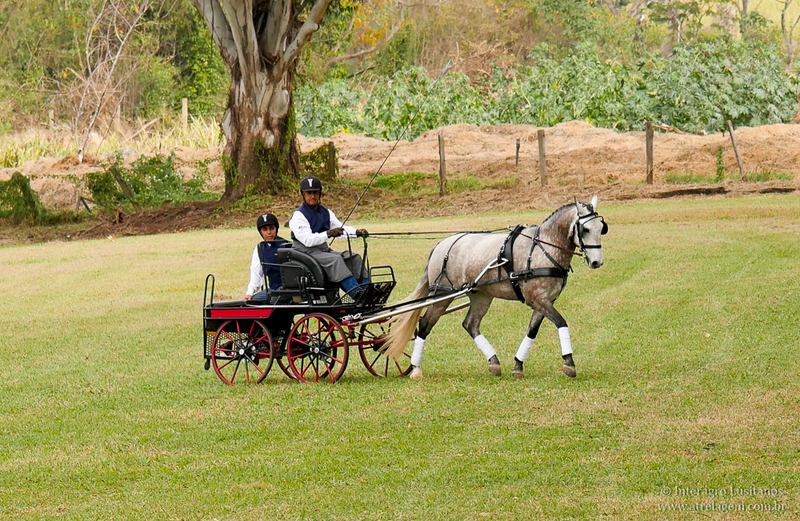 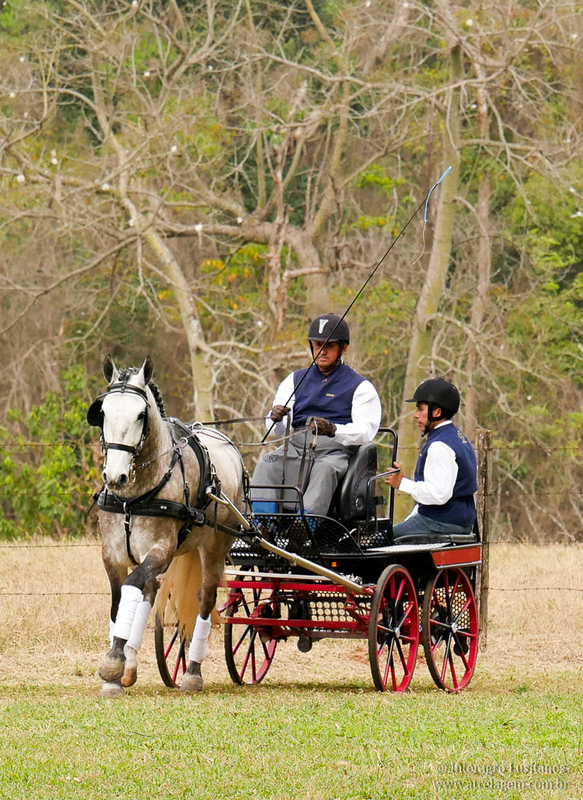 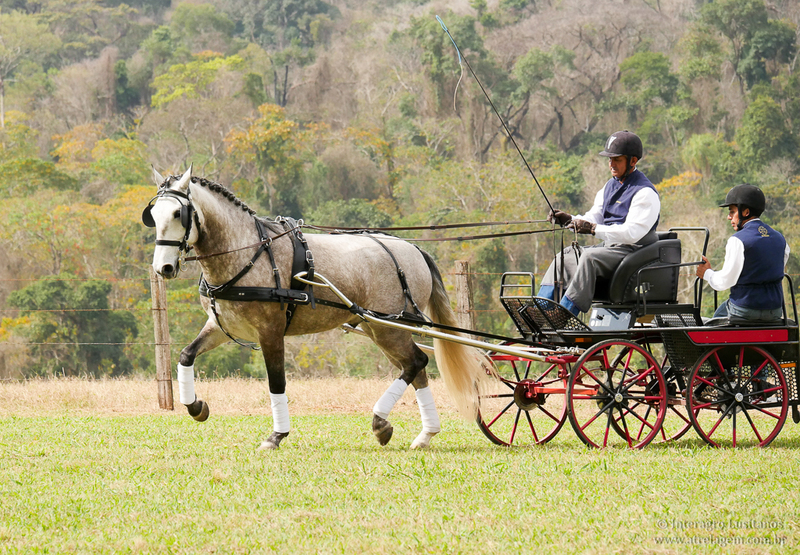 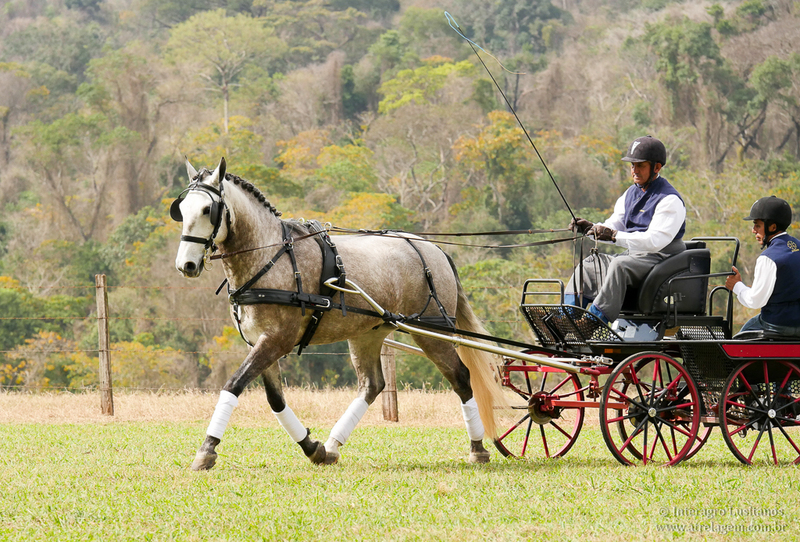 He has been worked in harness since February 2018 and recently started to be driven as a pair with Jackpot Interagro. 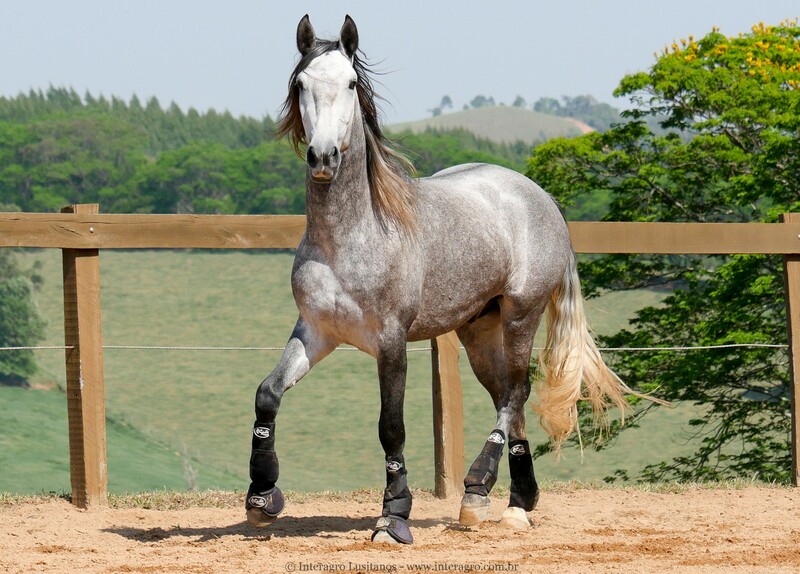 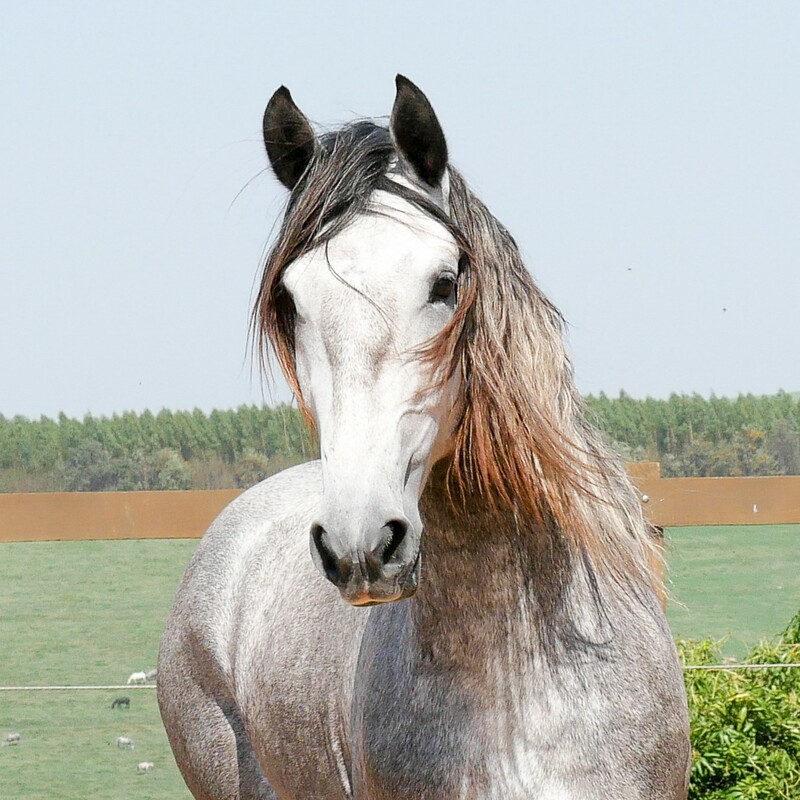 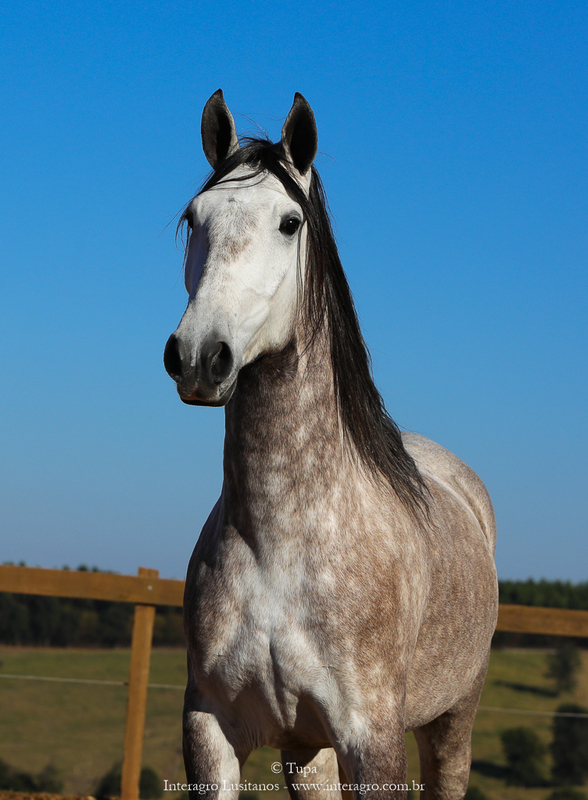 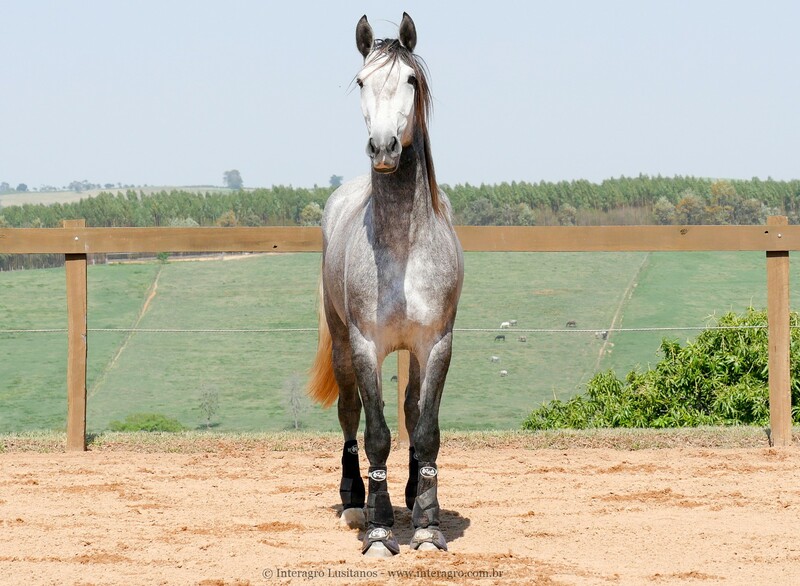 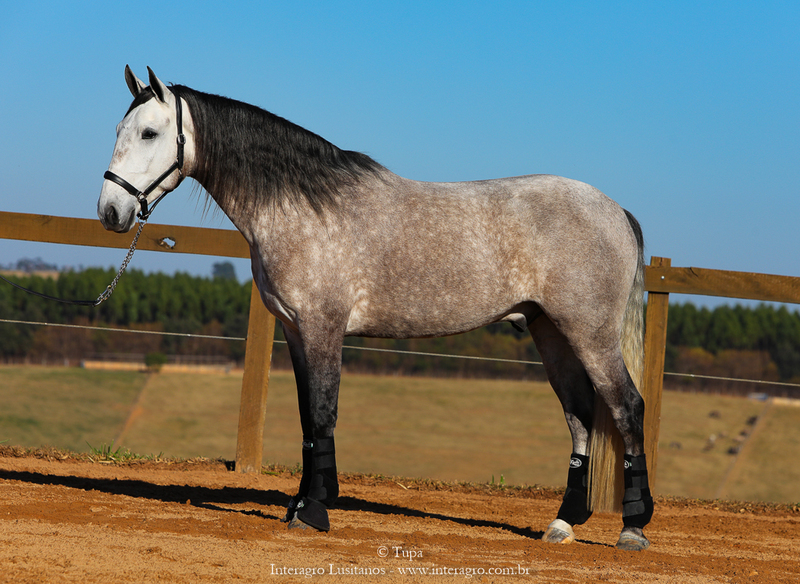 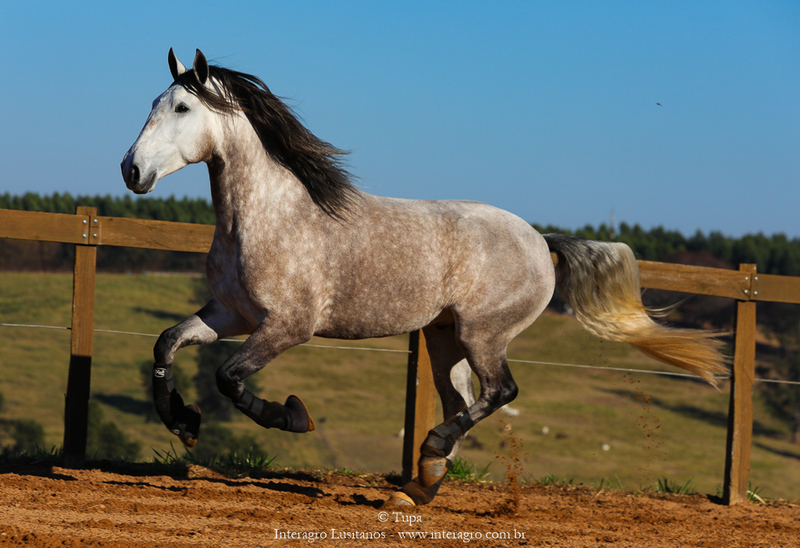 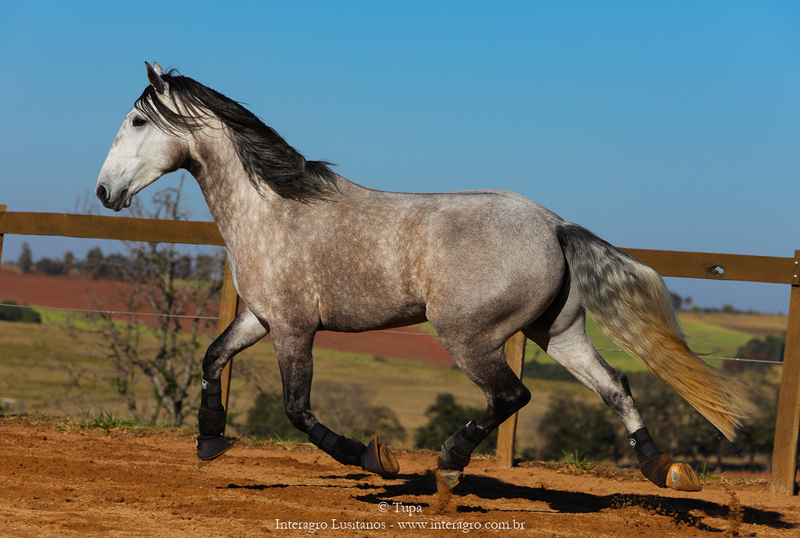 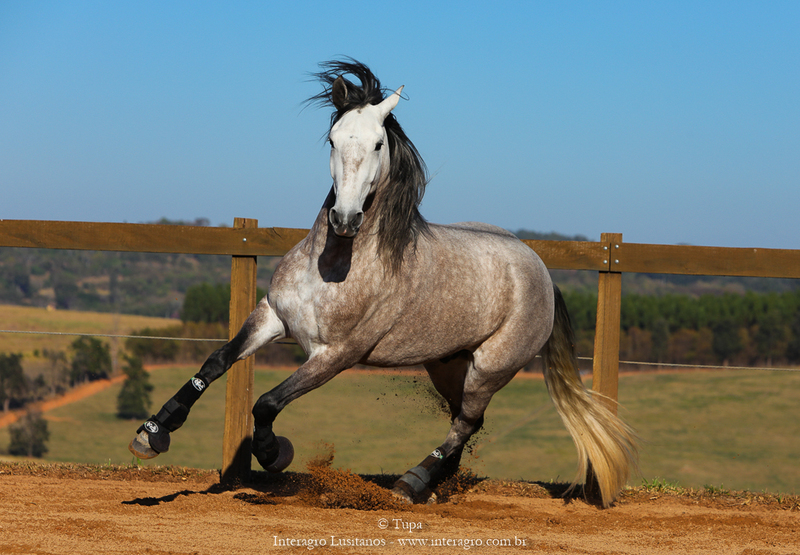 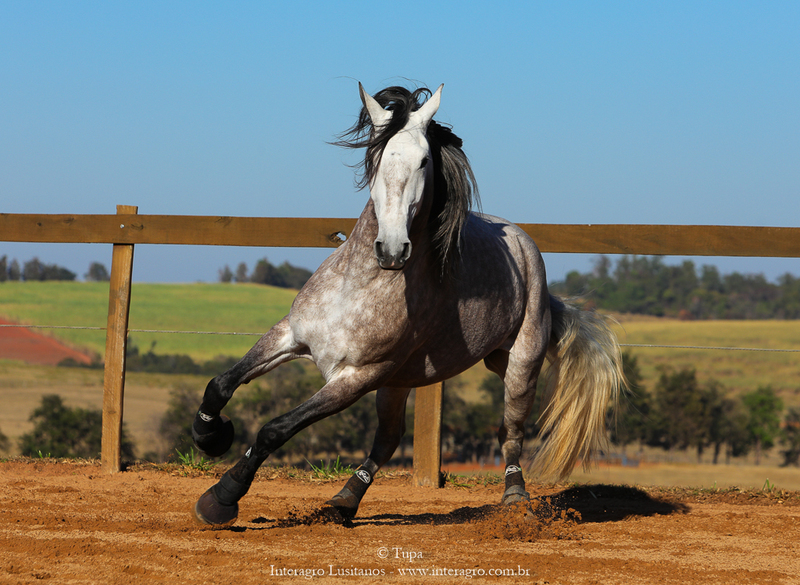 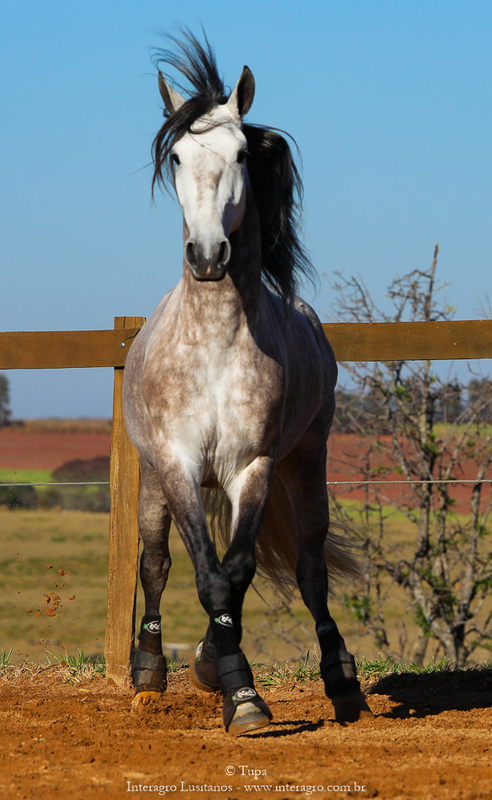 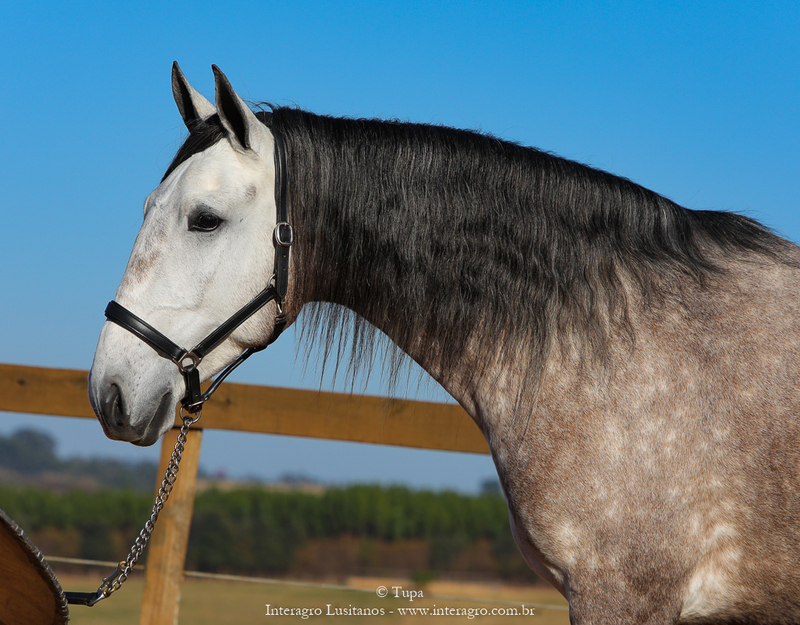 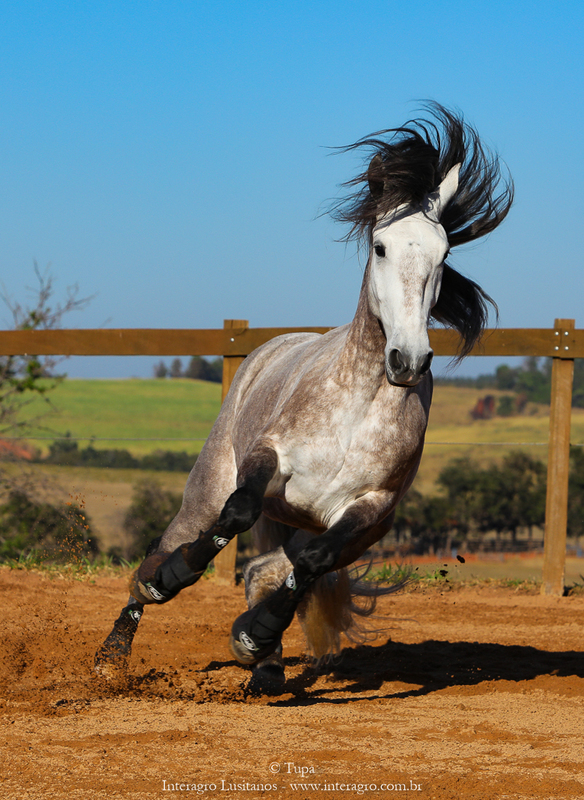 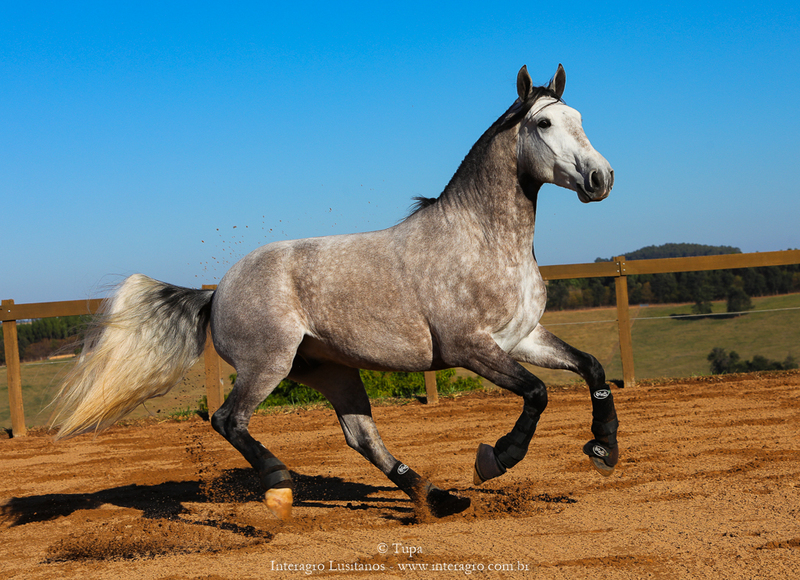 Lyco’s sire is Bungo Interagro, a stallion by Ofensor (MV) and out of Sibila Interagro (Noblíssimo Interagro x Maçaroca MMT), Lyco hails from an interesting blending of Portuguese lineages. 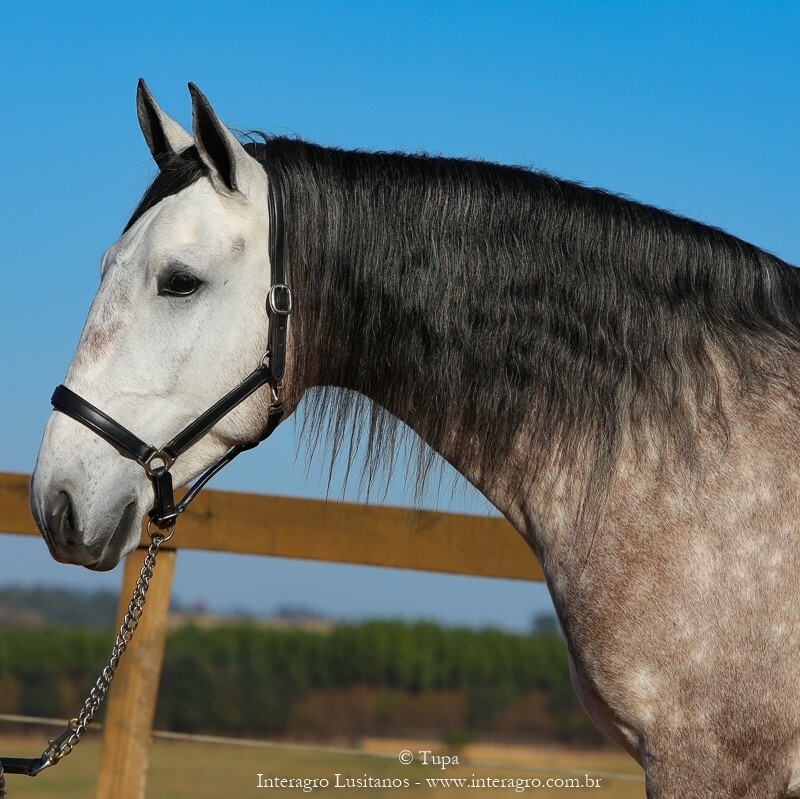 Maçaroca (MMT), bred by renowned Portuguese Stud Farm Romão Tavares, is a daughter of Hectar (MMT) and Filigrana (MMT), and is descended from Fronteiro I, an ancestor of Danúbio (MV), therefore from Firme (SA) /Nilo (MV)/Novilheiro (MV) lineage. 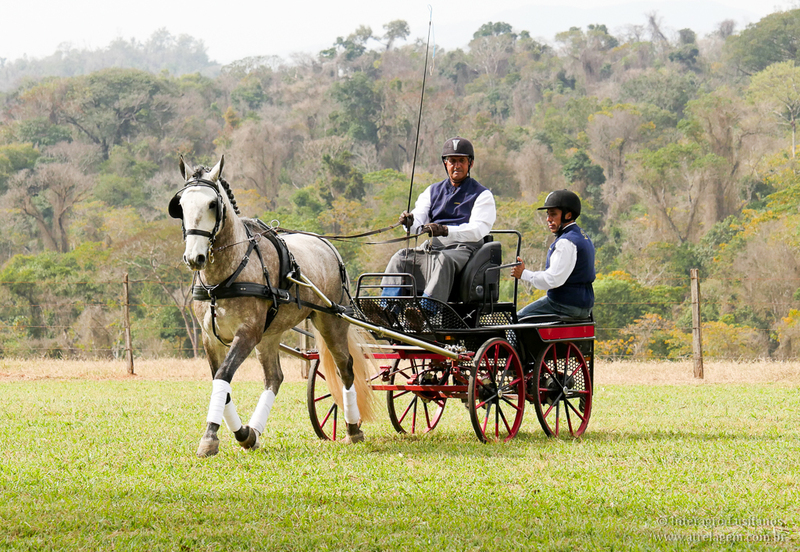 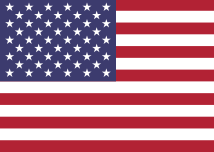 This unique pairing through Bungo Interagro produces a desired genetic combination of great potential. 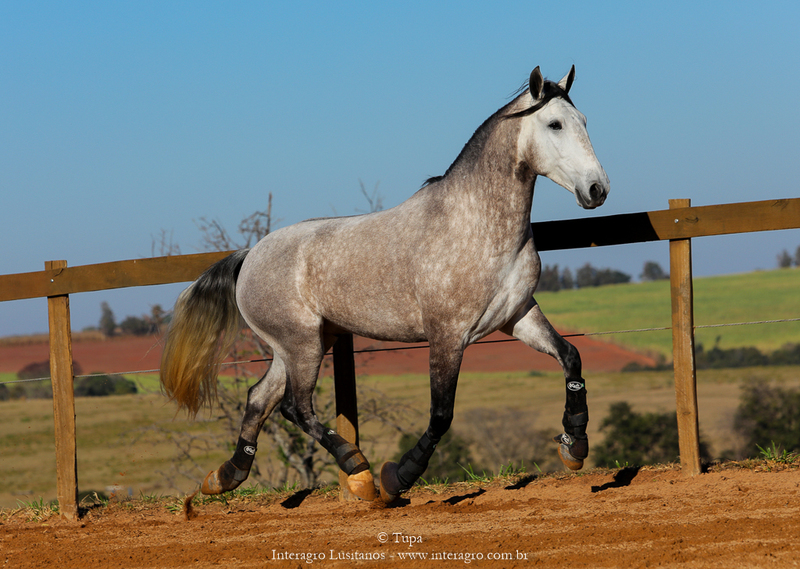 Lyco’s dam, Thelesis Interagro, was a beautiful mare awarded in conformation and revised with 73,50 points. 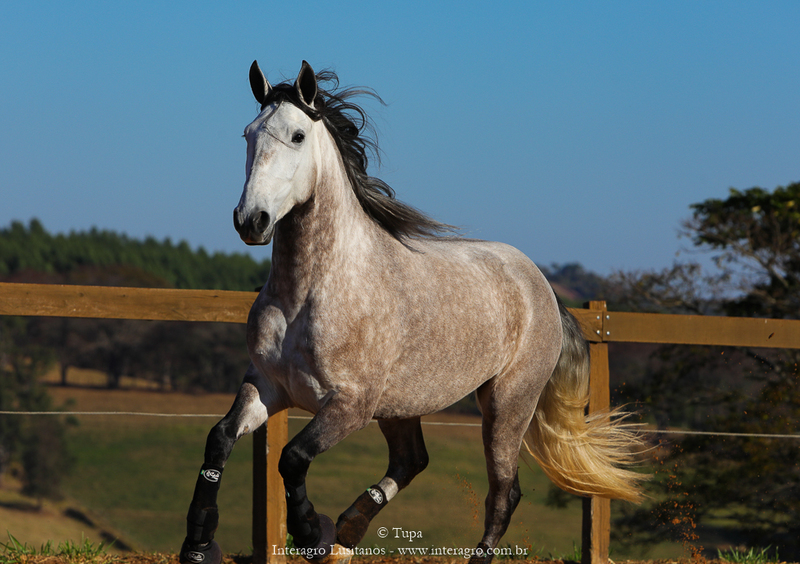 Among her exceptional progeny Baliel Interagro and Cartuxa Interagro stand out: the former a handsome stallion who scored 75 points at revision and had a successful dressage career and many conformation awards; and the latter a broodmare revised with 76 points.